Design packages just for you! As a small business ourselves we understand that getting your brand or website up and running is no small feat. Whether you need the full brand package or need a single page website, we can help make it a reality. We've bundled our branding and website services in a variety of ways that will fit your needs! 3-5 Unique logo concepts with 3 rounds of revisions. (2 concepts). *Printing cost will be estimated separately. (3 concepts). *Printing cost will be estimated separately. Tri-fold brochure (1 Concept). *Printing cost will be estimated separately. Tri-fold brochure (2 Concepts). *Printing cost will be estimated separately. Full stationery package includes business card, envelope and letterhead. *Printing cost will be estimated separately.  DC&Co will review your request and get back to you within 24 hours.